A good way to learn about how the Montessori philosophy works is to observe a classroom in action. Your first impression should be of a classroom where all is orderly, clean and inviting, with all the activities displayed so the children can reach them. There are children aged from three to six in the same room. Although some children will work in small groups, occasionally with a teacher, you should see most children working alone for most of the session. There should be a general atmosphere of children doing things for themselves, working with hands-on materials, carefully and competently. One child is counting beads, others are working together on a puzzle map, and in the corner of the room a teacher is introducing a small group of children to a new language activity. They seem unusually independent, putting away materials they have finished with and making their own decisions about what to do next. They take responsibility for their own learning at their own pace. They experience a blend of freedom and self-discipline in a place especially designed to meet their developmental needs. 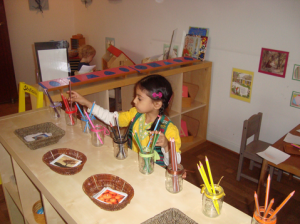 The Montessori environment is beautiful, with many colours and shapes. The materials have an intriguing appearance and texture and are attractively displayed on open shelves enticing children to experiment with them. The furniture is child-size. Children can easily reach the sink and the coat hooks. Two children could be enjoying a healthy snack that they served themselves. Most of the daily tasks, such as putting on coats, pouring drinks and cleaning up, are accomplished independently by the children themselves. All the children’s senses are used in the educational process. The senses of touch, of sight, of sound and even of smell and taste are all stimulated. Children are free to choose their own work and can proceed at their own pace. While not compulsory, they are all encouraged to join the group for circle time, the forum for songs, discussion of the current topic, show and tell, and other group activities. 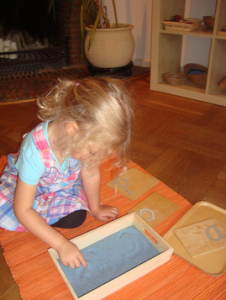 Other aspects of the Montessori philosophy may not be immediately obvious. There is an emphasis on cooperation and respectful behaviour. The adults in the classroom speak to the children at their own level in a calm voice. If a child wants to use a material that another child is working with, they learn to wait patiently for their turn. Children are rarely interrupted if they are concentrating on an activity. The materials are carefully designed so that the children can identify when they have made an error and correct the mistake on their own. This promotes confidence and will boost the child’s self-esteem. 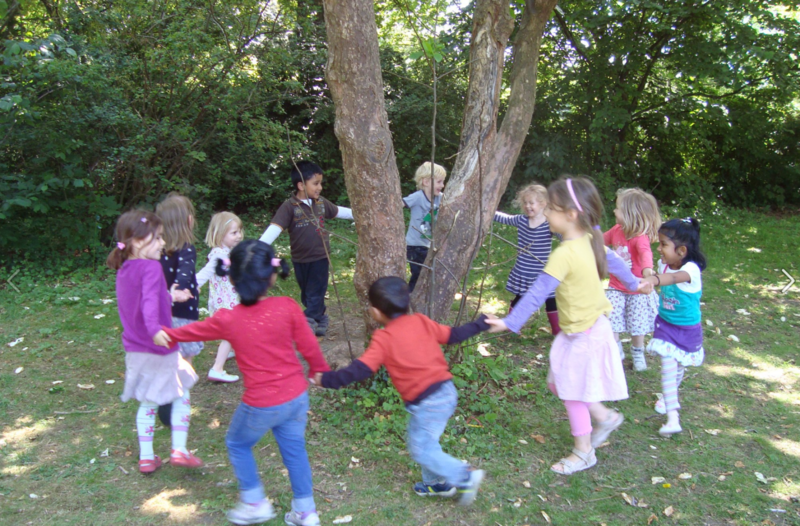 Mixed age (3 to 6) is a very important aspect of the Montessori classroom – by mixed ages we provide freedom of interaction within this real social group – it is not only a group of peers. It allows for a social process of learning, whereby younger children learn from older ones and older children can prove their knowledge, eliminating competition in the classroom. Being responsible for the prepared environment, the teachers present these purposeful activities at critical periods using their knowledge of each child’s developmental stages. Acting as a link between the child and the material, the teacher assists the children as they progress along the learning path from the concrete to the abstract.